Visit Exclusive Auto Wholesale online at www.exclusiveautowholesale.net to see more pictures of this vehicle or call us at 205-406-5644 today to schedule your test drive WE ARE FULL DISCLOSURE & PRIDE OURSELVES IN DESCRIPTIONS AS OUR BUYERS ARE OFTEN OUT OF STATE OR BUYING ONLINE & ARE RELYING ON US TO DESCRIBE THE CARS ACCURATELY TO GIVE THEM THE CONFIDENCE THEY NEED TO BUY CARS FROM US BASED ON THE PICTURES WE PROVIDE & THE DESCRIPTIONS WE WRITE. WE ARE NOT PERFECT WE ARE GONNA MISS SOMETHING MINOR HERE & THERE BUT WE FOCUS ON BEING 100% PRECISE & ACCURATE. WE ARE LOOKING FOR LIFE LONG RELATIONSHIPS TO BE BIRTHED FROM EACH & EVERY SINGLE CAR DEAL. WERE JUST A FEW NORMAL LAID BACK GUYS WHO GET PAID TO DO WHAT WE LOVE, BUY & SELL CARS OVER THE INTERNET. AND WE GET TO PLAY WITH SOME REALLY COOL TOYS WHILE DOING IT!! ALL TRANSACTIONS ARE SUBJECT TO A $499.00 DOC FEE PLUS TAX & TITLE, TRADE INS ARE WELCOMED. WE LOOK FORWARD TO MEETING YOU & WE ARE BEYOND BLESSED TO HAVE THE OPPORTUNITY BY HELPING YOU GET THE CAR OF YOU'VE BEEN DREAMING OF!! 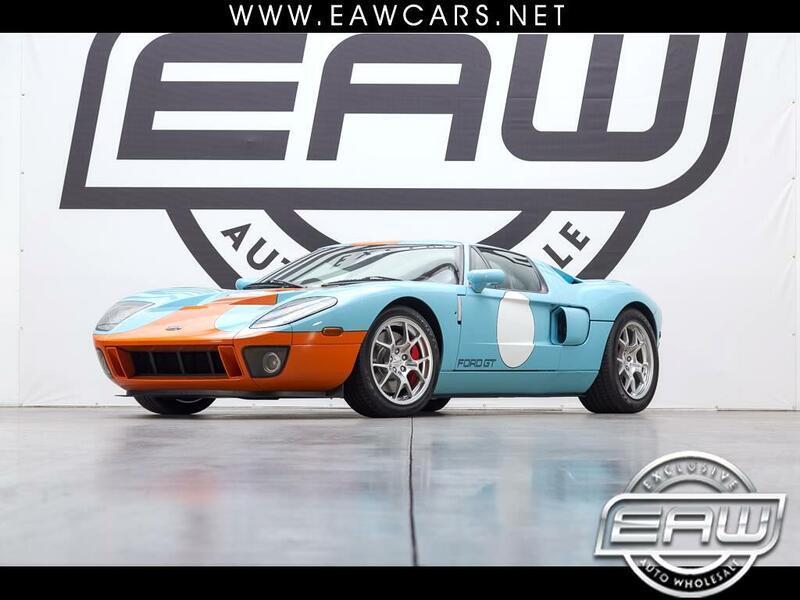 Message: Thought you might be interested in this 2006 Ford GT.